The Plant Nook Florist is Jonesville, Michigan's oldest florist proudly serving the area for over 58 years! Our shop has exceptional floral designers on staff, as well as a lovely variety of fresh flowers, plants and gift items for all ages and occasions. We hope you enjoy your online shopping experience with secure 24-hour ordering right at your fingertips. The Plant Nook Florist is open to serve your floral and gift needs: Monday through Friday 9AM to 5PM ~ Wednesday & Saturday 9AM to 12 Noon. Closed Sunday, except for funerals. If preferred, you may call us to place orders direct at (517) 849-9262. It is our pleasure to assist you with any local, as well as worldwide deliveries and remember that corporate accounts are always welcome. We also offer convenient daily delivery to local funeral homes and hospitals. Let The Plant Nook Florist handle all the flowers and on-site decorating. Call us in advance and schedule a consultation, so we can help you start planning your next unforgettable event! We also have Table Linens available when needed. 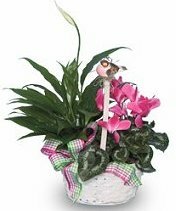 Choose from these great items and more: Dish Gardens, Green & Blooming Plants, Fruit & Gourmet Baskets, Baby Gifts, Candy & Chocolates, Country & Primitive Décor, Plush Stuffed Animals and Balloons for all occasions. Ask about our Candle Specials… Featuring McCalls Scented Candles, Jackel Wax Burners and Candle Accessories! When It's Time to Send Sympathy & Funeral Flowers... Call our shop and speak with a member of our courteous and knowledgeable staff. 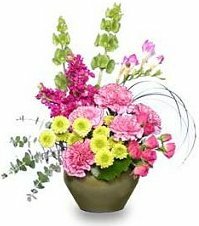 We’ll deliver your preference in flowers or live plants that express your sympathy to the grieving family and celebrate the life of the deceased. We also offer an attractive selection of Sympathy Stones and Angels. Thank you for visiting our website with flowers delivered fresh from your local Jonesville, MI flower shop and convenient online ordering 24 hours a day! !